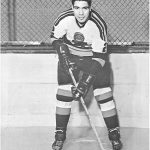 Bob’s long tenure into hockey started at the age of 8 when his parents signed him up with the local hockey organization. When Bob finished playing hockey he stayed involved with the game by becoming the equipment manager for minor hockey. In the late ‘50’s Bert Woodhouse convinced Bob to put his skates on and help him referee. Bob would ref games all day and his pay was nothing more than a hot chocolate from Joe Villenue at the Memorial Arena snack bar. Bob and his lovely wife Dorothy were married on February 23, 1963. They have two sons, Rob (wife Maureen) and Shawn (wife Maureen). They knew as soon as the boys were old enough that they too would be playing hockey. This would ensure Bob would stay involved in the game he loved. He just didn’t realize at the time, nor did Dorothy, just how involved in hockey Bob was going to become. Bob first started with the Parry Sound Minor Hockey Executive in 1969. In the summer of 1973 the old Memorial Arena burnt down. The hockey club was faced with big problem: How were they going to provide hockey for the kids in town? Bob and a group of volunteers constructed a rink by the river using a borrowed pump and hose from the fire department. One night when he was there alone he cut a hole in the ice and fell through. Needless to say, when he got home Dorothy was just a little upset! From then on, Rob, Shawn or the whole family would join Bob. Bob was always a big supporter of the house league program. In 1974, Bob got then house league convener, Bud Stevenson, on board with his idea for a house league tournament and they took their idea to the executive. Bud and Bob persisted even though the executive didn’t like the idea. The 1st annual house league hockey tournament was held March 15 & 16th 1975. The committee made up of Bob & Dorothy Beaumont, Bud Stevenson, Gene Poytress and Ted Gleeson put in a tremendous effort to make the event work. The tournament was considered a huge success even making money to allow the club to hold it’s first ever awards banquet. The tournament still runs today providing 100’s of kids in the house league program a chance to participate in a tournament over the Christmas holidays. Believe it or not Bob found time for activities outside of hockey. 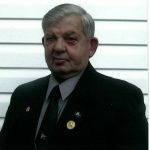 Bob was a member of the Parry Sound Volunteer Fire Department for 25 years and a member of the Parry Sound Pipes and Drums for 10 years. He is also a former member of the local Kinsmen Club. Considering the hours Bob puts into hockey in the winter, he still finds the time late in the fall to deck out his house in Christmas lights. It seems that once fall arrives people in town are anticipating what Bob is going to add to his collection this year. In 1983 Bob became a convener for then OMHA Rep John Murgal. In 1984 he took a position as development coordinator with the OMHA for the Parry Sound Muskoka area, a position he still holds. Bob was first elected to the OMHA Executive at their annual meeting in 1985 and is the longest sitting Regional Executive Member taking care of hockey matters for Parry Sound/Muskoka for the last 25 seasons. Bob has chaired and is still a member of the Development and Playing Rules Committee of the OMHA. This is the group that oversees the operation of clinics for coaches, trainers and referees along with making recommendations for the rules of the game. 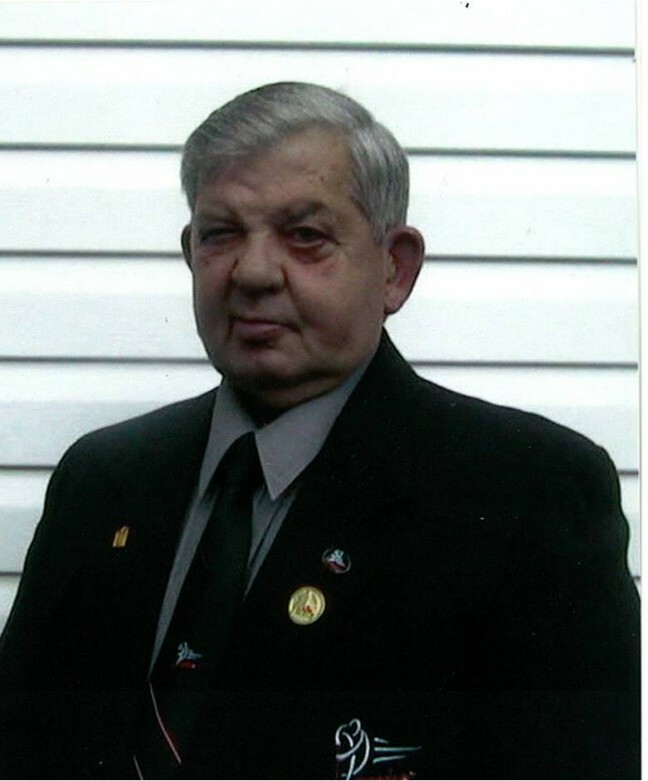 Bob was also the regional chair of the under 17 program for many years. He is still very much involved with this program today. As overseas chairman Bob was responsible for all teams coming in from all over the world to play against any OMHA teams. Bob would make sure all approvals were in place and the office staff at both Hockey Canada and the Ontario Hockey Federation would often ask Bob for help with the details of trips. Bob has helped a great many OMHA teams heading overseas with their arrangements for their trips to Europe. For the number of years that Bob has been on the executive he has only ventured overseas once. Bob and Dorothy did make a trip to Germany with the Parry Sound Bantams in December of 1990. After Bob’s OMHA duties were finished and the team had flown back to Canada, they stayed on to visit Shawn who was stationed with NATO in Gelsenkirchen Germany. During the 2006/07 season the OMHA decided that they would put on a pond hockey tournament for Bantam and Midget house league players. Bob was asked to be part of the committee that would oversee this event. Many hours of plowing, scraping and shoveling went into this event to get the 4 rinks ready for the teams. The weather was very unfavorable and ice conditions weren’t the best, causing cancellations on Saturday, but with hard work of volunteers they were able to finish the tournament. This past March, Bob took on another task as Sports Manager of Hockey Operations/ Governing Chair for the Ontario Winter Games which were held across Muskoka. Bob was responsible for the set up of the Triple Pee-wee tournament. Again, Bob recruited a host of volunteers to set up schedules, assign officials, bussing and a whole host of other events. 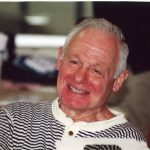 Bob has received many citations and awards over the years for his volunteer contributions to hockey in Parry Sound and the Province of Ontario. In 1988 Bob received the Corps d’ Elite Award for his significant contributions to recreational activities in Ontario. 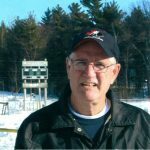 In 2008 Bob received the Ontario Hockey Federation’s Volunteer of the Year award recognizing his outstanding commitment and significant contribution to the game. Also in 2008 Parry Sound Minor Hockey recognized Bob for his years of dedication and commitment to the club and the game by making him an honorary member of the club. He has also been recognized by the OMHA for his over 20 years of service as a member of development committee. Rob and Shawn’s minor hockey career have been over for many years but that has not slowed Bob or Dorothy down. Their two grandchildren, Zach and Ashley, are both continuing on the family tradition of playing hockey. Zach with the Barrie Colts’ “AAA” Major Midgets and Ashley with the Ross Windows Pee-wee AE’s here in Parry Sound. Over the years many family functions have had to be postponed or rearranged because of Bob having to be at a playoff game or at a hockey meeting. Even wedding anniversaries are not safe from hockey. When February 23 rolls around there is always a very good chance that Bob and Dorothy will be in a rink or at the OMHA meetings in Toronto. Bob retired after 28 years with Humpty Dumpty foods. Nowadays, you will find him at the Farmers Market each summer tending to the flowers and passing on his gardening knowledge to the customers. Bob, you should be proud of what you have accomplished and have done for hockey not just in Parry Sound but across the province. Your dedication to the game is second to none. This induction into the builder’s category is an honour that is more than well deserved. Congratulations from your family, friends and of course the hockey community on your 2010 induction into the Bobby Orr Hockey Hall of Fame.